When it comes to small unmanned aerial systems (UAS) such as commercial quadcopters, there is no comprehensive tracking system. And as off-the-shelf UAS become less expensive, easier to fly, and more adaptable for terrorist or military purposes, U.S. forces will increasingly be challenged by the need to quickly detect and identify such craft—especially in urban areas, where sight lines are limited and many objects may be moving at similar speeds. 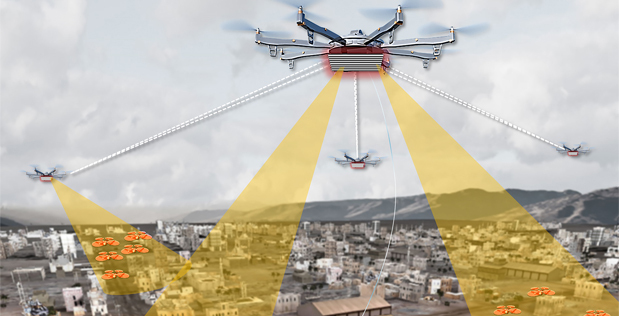 The Aerial Dragnet program seeks teams with expertise in sensors, signal processing, and networked autonomy to achieve its goal.